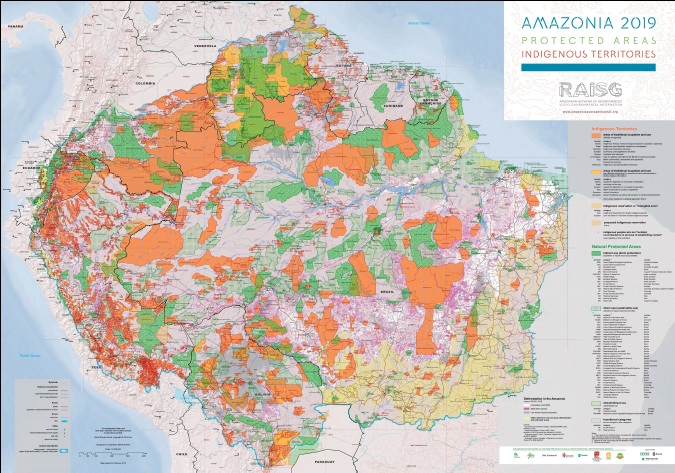 Published since 2009 by the Amazonian Geo-referenced Socio-Environmental Information Network (RAISG), this new updated edition of the map Protected Natural Areas and Indigenous Territories in the Amazon includes Biosphere Reserves and Ramsar Sites, which are conservation tools that use ecosystem approaches within a sustainable development context. The Biosphere Reserves and the Ramsar Sites, as a whole, add up to 993,071 km2, when the overlaps between the two categories are excluded. 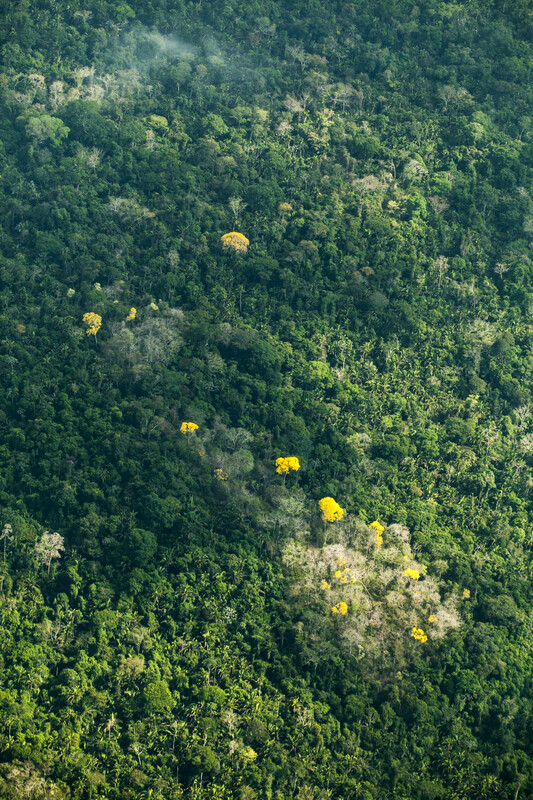 However, 491,893 km2, about 50% of this area, is already protected under the figure of NPA or is within IT.